Every woman dreams about an ideal body. Beautiful arms are not a less important and attractive part of the female body than the legs or a thin waist. Unaesthetic form of arms can spoil the whole impression of a beautiful figure. If you have flabby arms and you want to pump them up, arm exercises are an absolute necessity. Before starting to do exercises for your arms, it is very important to adjust yourself to a positive result. However, it is not worth waiting for fast results. You will have to work hard to get a visible effect. 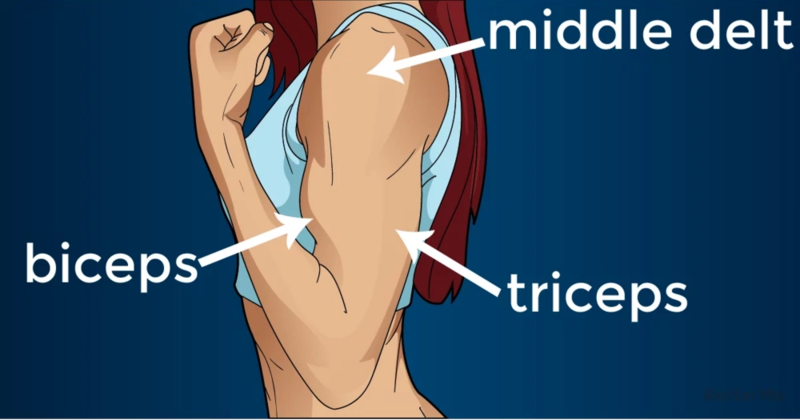 Look through these 7 best exercises to pump up your flabby arms: Triceps Dips, Push-Ups, Tricep Kickbacks, Tricep Extensions, Bent Over Row, One-Arm Side Push-Up and The Windmill, The Wave Goodbye, Child's Pose and Arm Stretches. Do not waste your time and start working out tomorrow! Regular exercising will make you closer to the arms of your dream.